With the arrival of our latest shipment, we thought it would be helpful to explain some of the work that goes into ensuring our wines arrive in the best possible shape. 1. 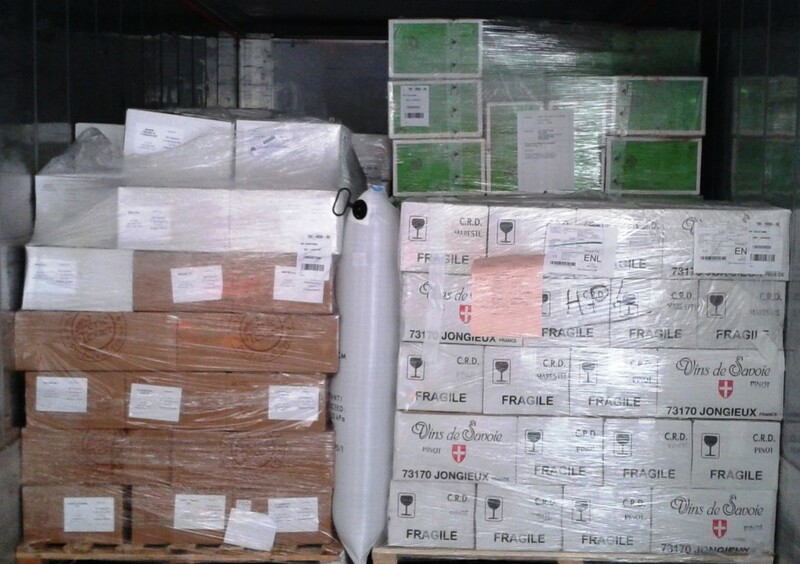 Refrigerated containers – we always ship using refrigerated containers to protect the wines from temperature fluctuations. It’s more costly, and some space is lost to accommodate the refrigeration unit, but it’s essential to protect the wines. 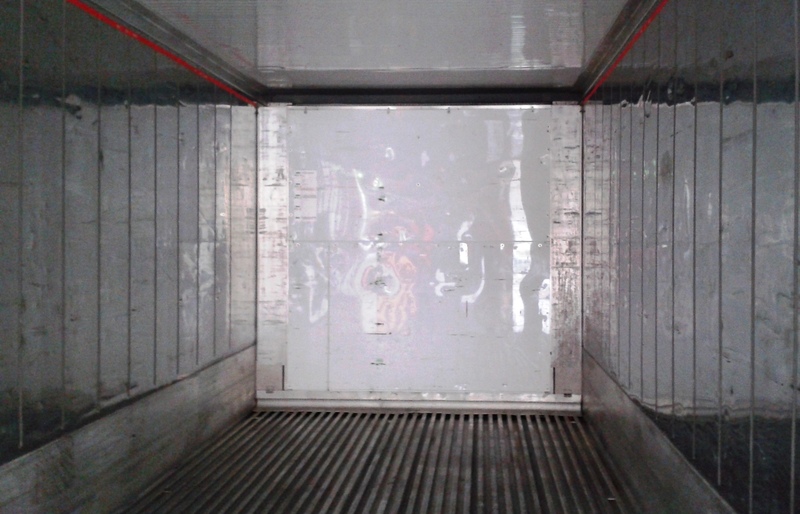 In fact, we have a full cold chain; we pick up all the wines from our producers using refrigerated trucks, and the refrigeration unit remains switched on throughout the entire journey (left, unit in the yard), and our local deliveries are carried out using temperature-controlled trucks. 2. Full Container Loads (FCLs) – By shipping FCLs (i.e. 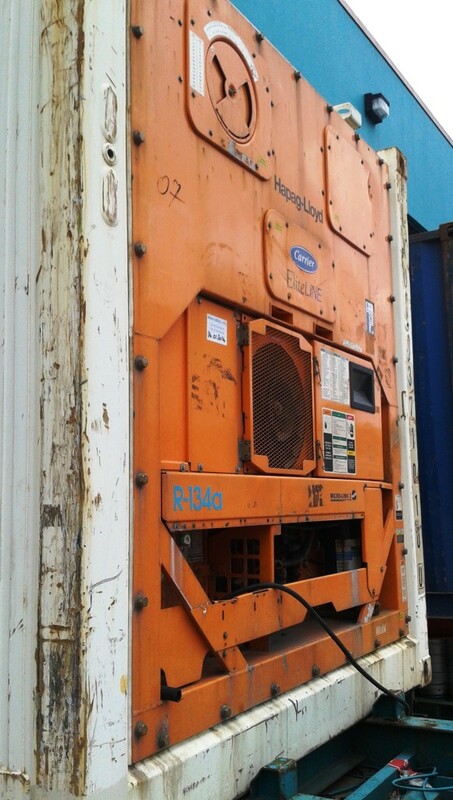 we are the only consign ee), we can specify the shipping temperature and unstuff the container at our bonded warehouse. This ensures that we keep the wines between 10-12ºC throughout their journey, and that we don’t depend on others to unstuff the container in the free trade zone (FTZ). We’ve personally seen too many pallets of wine sitting out in the yard, cooking away. 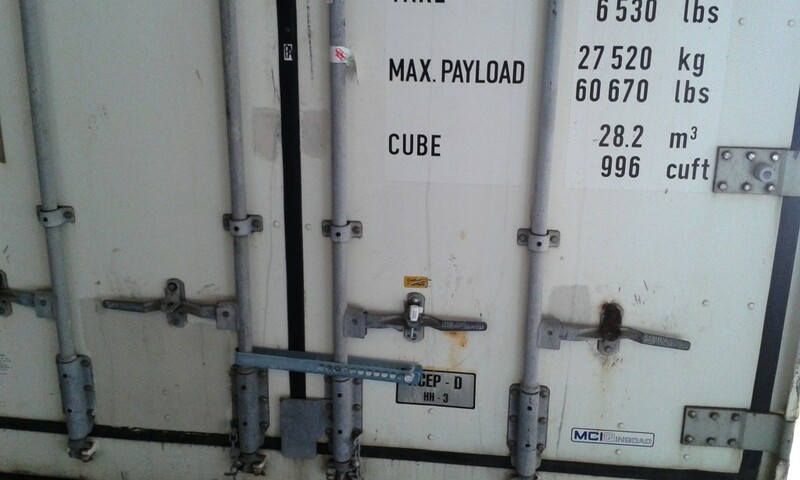 The container remains sealed and chilled until we arrive at the warehouse (right, sealed container). 3. Personal supervision – we are there at every unstuffing, no matter what. We help to reconcile the physical inventory to the import permits, which speeds up the process greatly, and at the same time retrieve our data loggers for temperature and humidity analysis. Many of our winegrowers leave handwritten notes and even photographs as they know we’ll get them. Sometimes, their heroic stacking efforts amaze us. The green boxes towards the back, a full two levels higher than anyone else, are from de Sousa. So why do we go to these lengths? There is the inherent satisfaction of a job well done (right, the empty container), of course. More seriously, we drink the wines we import on a daily basis, and have (unfortunately) first-hand experience of how sub-par handling damages these wines. By doing everything within our control to protect the wines, we hope to do justice to the honest and hard work of every winegrower we work with, and in turn ensure that you have the best possible experience.